The white nape cockatiel is actually quite an insignificant cockatiel mutation because it merely causes the bird to produce a few white feathers to the back of its head. It is dominant in its inheritance, for any parent with such a white nape will have some offspring that also bear this feature. 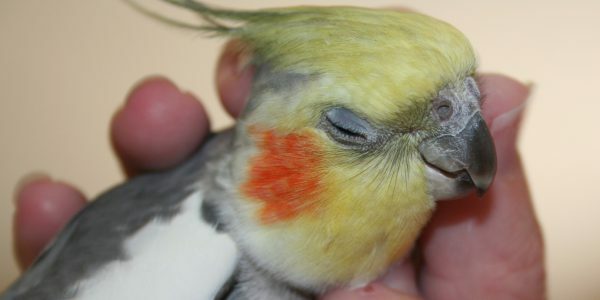 By some curious quirk, several strains of the pied cockatiel also have this gene that can produce the white nape cockatiel. Therefore by pure coincidence, many split pieds will have a white nape. The pied cockatiel is completely recessive and does not mark the split form in any way. The presence of a white nape is irrelevant to piedness.